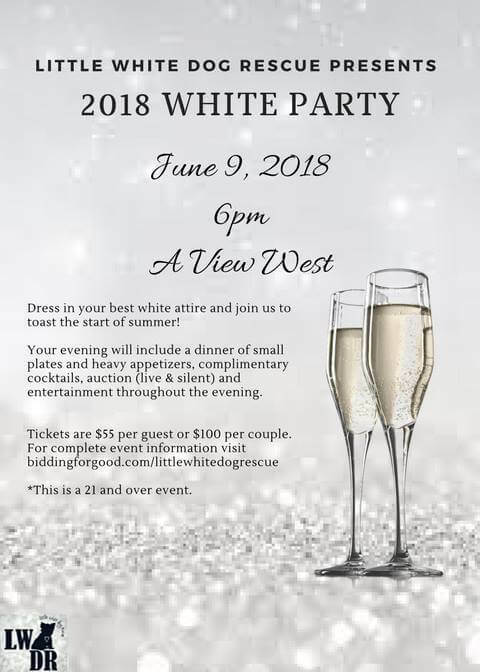 Please join us as we toast the start of summer at our 2nd Annual White Party Dinner & Auction Benefit. Guest tickets includes a dinner variety of hors d’oeuvres and small plates, a sweet dessert experience, complimentary beer, wine and soda from 6pm to 9pm and entertainment. Last year was a BLAST…this year will be as well!! !